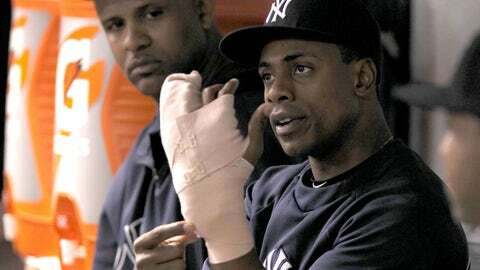 Because of injuries, Curtis Granderson played only 61 games in 2013. Curtis Granderson is heading across town, where the New York Mets hope his home run swing won’t suffer at Citi Field. The free-agent outfielder agreed to a $60 million, four-year contract with the Mets, according to a person familiar with the situation. The person spoke to The Associated Press on condition of anonymity Friday because the deal was pending a physical and no announcement had been made. Granderson, who turns 33 in March, comes over from the crosstown Yankees and gives the Mets much-needed power in their punchless outfield. He batted .229 with seven homers and 15 RBI this year, when wrist and hand injuries limited him to 61 games. But he surpassed 40 homers in each of his previous two seasons in pinstripes. The move marks general manager Sandy Alderson’s most expensive free-agent signing — by far — after three years of bargain shopping as the Mets rebuilt. A three-time All-Star, Granderson provides proven thump from the left side of the plate to complement right-handed hitter David Wright in a lineup that managed only 130 home runs last season — tied for 25th among 30 major league teams. Granderson hit 41 home runs in 2011, when he led the American League in runs (136) and RBI (119) and finished fourth in MVP voting. He had 43 homers and 106 RBI in 2012, taking advantage of the short right-field porch at Yankee Stadium. Granderson’s numbers have declined the past two years, down to a .317 on-base percentage and .407 slugging mark last season. He also is prone to strikeouts — whiffing 364 times from 2011-2012 — and joins a Mets lineup that fanned 1,384 times this year, tied with Atlanta for most in the NL. But his bat is a significant upgrade for the Mets, starved for offense following their fifth straight losing season since moving into Citi Field. 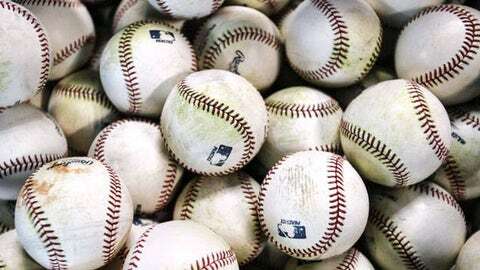 Now, the club can focus on other areas of need — shortstop, first base, the pitching staff — heading into baseball’s winter meetings next week.